A migraine can be a very distressing occurrence that can cause many negative effects on health and may occur at any time in life. They tend to be more common in women and are more frequent in those over adolescence and below 50. The condition is often referred to as an attack or an episode and is not the same as a normal everyday headache.Migraines tend to have specific patterns in their development and presentation. Often they can be sensed as certain triggers are identified before the onset of the headache, whilst others simply suffer the headache which subsides after a routine length of time. Migraine is considered to be a neurological condition that can present in many ways. It is fairly common and symptoms vary in seriousness from person to person. Some people can manage to adjust to the complaint and simply 'get used' to it whilst other struggle with them for many years. They can occur infrequently or as often as every day which can be a significant feature in the ways in which people manage the problem. There are many theories of the possible causes of a migraine including physiological changes in the blood vessels in the brain that might narrow then dilate during an episode, hormonal triggers, dietary triggers or because of other chemical changes. There are different classifications of migraine with symptoms varying with each type but typically the predominant feature is to suffer from a headache. The headache is usually quite severe and can last up to 3 days and usually occurs in only one specific side of the head. Other symptoms can include but are not limited to nausea, vomiting, dizziness, light aversion, Sensitivity to sound, lack of concentration, pain or stiffness radiating to the neck, shoulders or back and visual disturbances such as blind spots or flashing lights. For many the best treatments are paracetamol and rest. Laying quietly in a darkened cool room away from distraction will help to ease the symptoms.Sometimes the use of anti-inflammatory medication is beneficial and can be used in conjunction with paracetamol. Aspirin is also recommended for use but please do speak toy your pharmacist if you have any other medical problems or existing medication before taking this product regularly.It may be possible to ask your GP to prescribe other medication for the treatment of migraine if symptoms are severe and very frequent. There drugs are categorised as Triptan medications that act by changing a specific chemical balance in the brain. Unfortunately preventing a migraine may not be possible until the source of the trigger if there is one has been identified. This means enduring the migraines and documenting behaviours, dietary intake or other factors before each occurrence until any possible pattern or trigger can be detected and amendments made as such. The most common triggers are smoking, lighting, sounds, anxiety or other mental health issue, certain food products such as chocolate or menstrual cycle pattern.There are some medications available that are aimed at preventing the development of a migraine; speak to your GP for more information on these drugs. 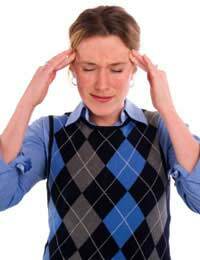 Migraine is a potentially life changing event as the symptoms can be extremely severe. Medical advice is often needed to be able to recommend the most effective pain relief and to try and identify the triggers if there are any. There are some support groups that may be able to provide additional help for those whose lives are significantly affected by the condition.